After you’ve made your purchase, your information will be forwarded to our in-house delivery team for scheduling. Depending on a range of factors – where you live, items purchased, special requests you have made, etc. – our team will schedule your delivery as soon as possible. In general, deliveries in Bowling Green/Warren County are scheduled within a week, often within a few days. For those outside of Bowling Green/Warren County, we typically advise delivery within seven to ten days, often much sooner. We do not have designated days that we deliver to specific areas. Instead, we go “where needed, when needed”, allowing us to be more flexible and responsive. 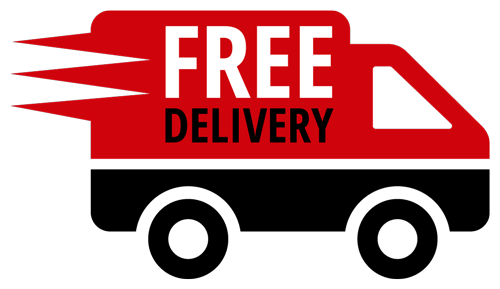 Once your delivery is placed on the schedule, we will call 24-48 hours in advance and advise your delivery date and a two hour time frame to expect us. Ensure that someone 18 years or order is home to accept delivery. This person needs to be authorized by you to confirm items are received in good condition and sign our delivery receipt. Clear the area where your new furniture is to be placed. Our delivery team is not permitted to move, re-arrange or haul off existing furniture. Measure and evaluate doorways, hallways, stairways, corners, etc. to make sure there is a viable route for your furnishings to travel from our delivery truck to the designated space in your home. If items are being placed on hardwood floors (or any other type of flooring that requires protection), please have appropriate type and quantity of protection on hand (felt pads, rubberized pads, etc). Our delivery team will be happy to place on your items where necessary to ensure that your floor is not damaged. Get ready to enjoy your new furniture or mattress set! We sincerely appreciate your business and will work hard on our end to make sure things go as they should. We will travel beyond the areas listed, up to approximately 125 miles from Bowling Green, KY, under certain circumstances. Please email us at sales@thorntonfurniture.com or call (270) 842-0379 for more information. Thornton Furniture offers professional, white glove delivery service. We uncrate your furniture in our warehouse, check it over to make sure it looks as it should, blanket wrap and secure it on our delivery truck and deliver it to your home, placing the item(s) where instructed, fully assembled and ready for you to enjoy. We own & operate our own trucks and employ professionally-trained, courteous warehouse and delivery staff. Our team handles your purchase from the time it arrives at our store until the time it is placed in your home, ensuring your items arrive in excellent condition. You speak with us from start to finish – no third-party delivery firm that is delivering a wide range of products, unfamiliar with proper handling techniques and in a hurry to get to the next stop. Customer pick-ups must be scheduled in advance with our warehouse/delivery team. When scheduling a pick-up, we will need to know if you can load items unassisted, if you will be able to assist one member of our staff in loading, or if you are unable to assist and need our warehouse/delivery staff to load. All items will be uncrated, assembled & inspected by our warehouse/delivery team prior to pick-up. Customer is responsible for inspecting all merchandise prior to loading and will be asked to sign our warehouse receipt noting that items were received in good condition. Customer is responsible for bringing padding/packaging materials, rope/tie downs, etc. and securing item(s) in their vehicle. We are not responsible for damage that occurs once the item(s) leave our warehouse – that includes damage incurred during the loading process.